Today I am trying to use up all the dry fruits that is lying in the pantry and hence in search of recipes and come across this in my wonderful Four Ingredient Cookbook. This is easy to make with very less ingredients and in no time. That is sounded perfect for my Saturday morning when kids are still in bed. The most of sweetness in this bread or desert comes from the fruits and it will sure be a healthy snack for your little one's also. It was little sweet for me, But Who cares for me, when it comes to Sweets ;-). My rest of the family enjoyed every bit of it. Now I know Tea Bread is not made with Tea. Here is the recipe for you and enjoy! 1. Put the Fruit In a bow. Add 2/3 cup of boiling water and let stand for 30 minutes. 3. Sift the flour into the bowl and mix well until combined. 5. Level evenly and sprinkle the 1 tbsp sugar on top. 8. Then slice it and serve it with hot chai or coffee in the afternoon. 9. Store it in the airtight container and it last for 1 week. Most of the sugar content is from fruits and the sugar is we used also RAW, it is healthy compared any other sweets. 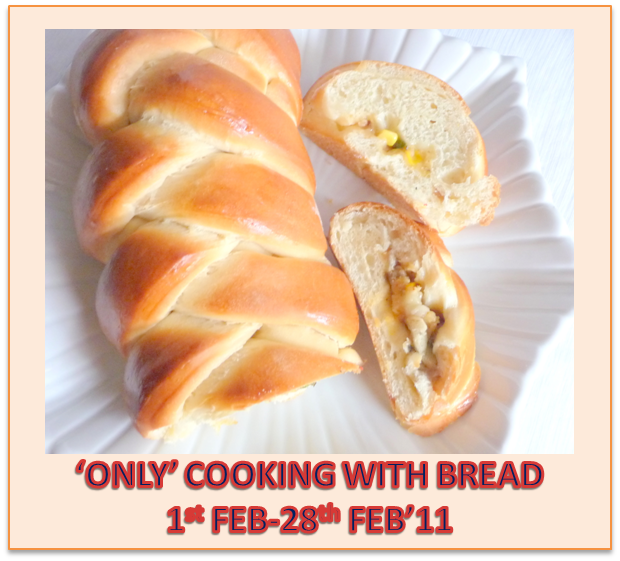 I am sending this to Only Bread Event at Foodelicious. 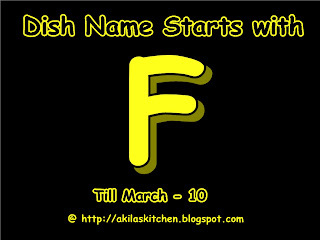 I am also sending this Dish Name Starts with F event at Akila's Kitchen. I am also sending this to Miz Helen's Full Plate Thursday event. I am also sending this to Sweets for Saturday by Lisa. There is an event Announcement at my blog. Please have a look when you get time. Yummmilious preparation, love this fruit cake so much. This bread looks delish. I always have half empty bags of dried fruit...perfect use to combine a few and make this bread. I am so excited that you were able to bring your delicious Fruit Bread over today.I would really love to try your recipe. Thank you so much for bringing it to FULL PLATE THURSDAY and please come back! This is such a beautiful and colorful bread. 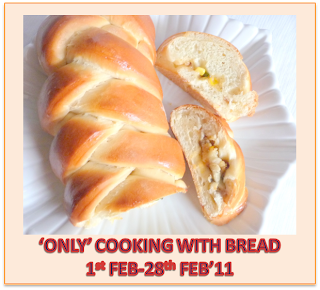 I love home made bread too and I gotta try this recipe soon. 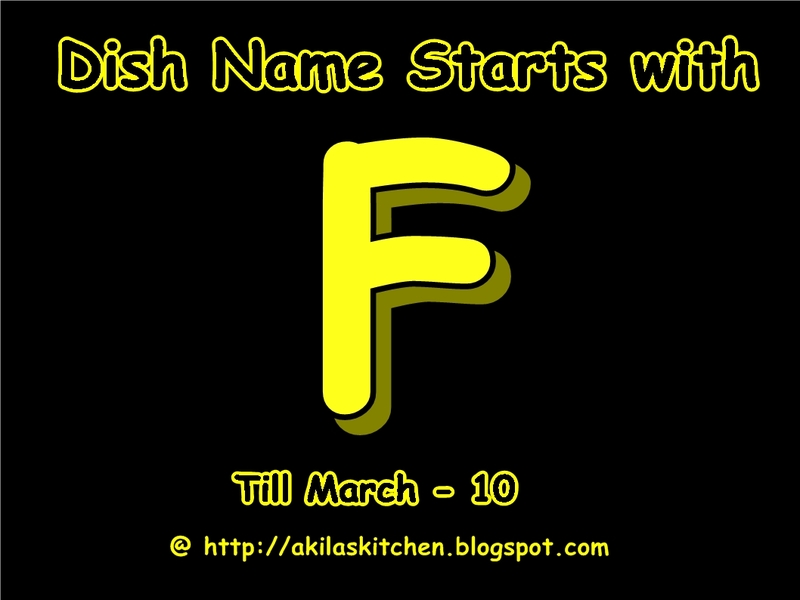 Your are featured on Full Plate Thursday on 3-3-11. You are welcome to stop by and pick up your Red Plate. Hope to see you soon. That looks really yummy. I also thought tea bread and cake are made of tea. Thanks for sharing.